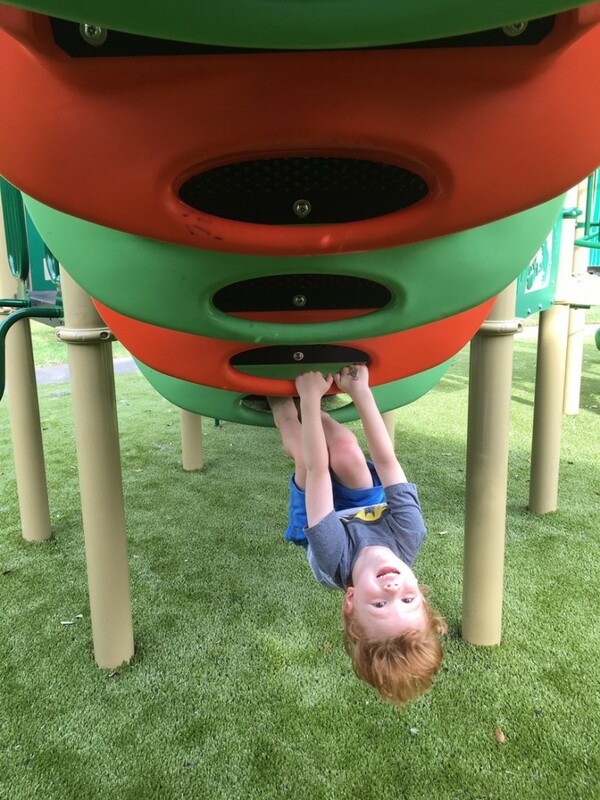 Since my Playground of the Week posts have essentially been sporadic park posts whenever I get around to it, I’m going to do a few playground posts in a row to make up for it, starting with one of my favorites. 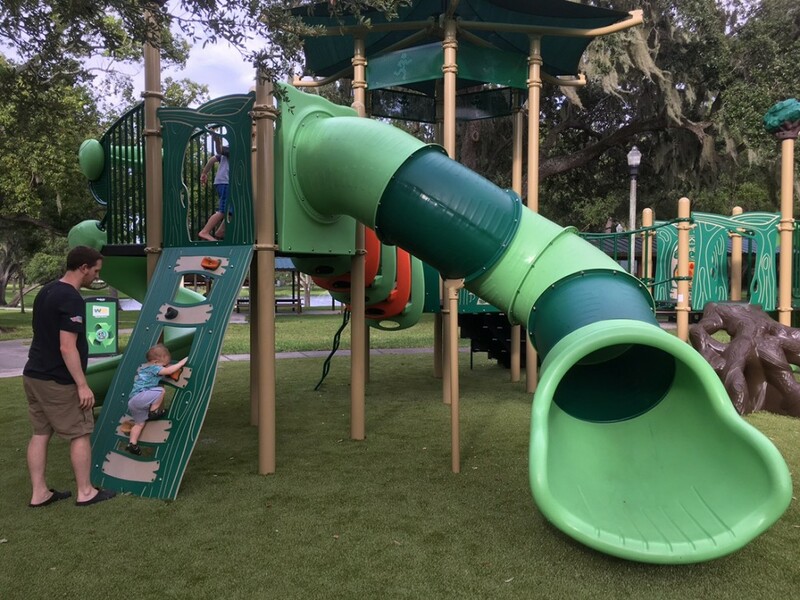 Seminole City Park (7464 Ridge Rd, Seminole 33772) has long been a top park for our family, but the playground has been closed all summer for a complete renovation (I think its last major renovation was in 2001.) 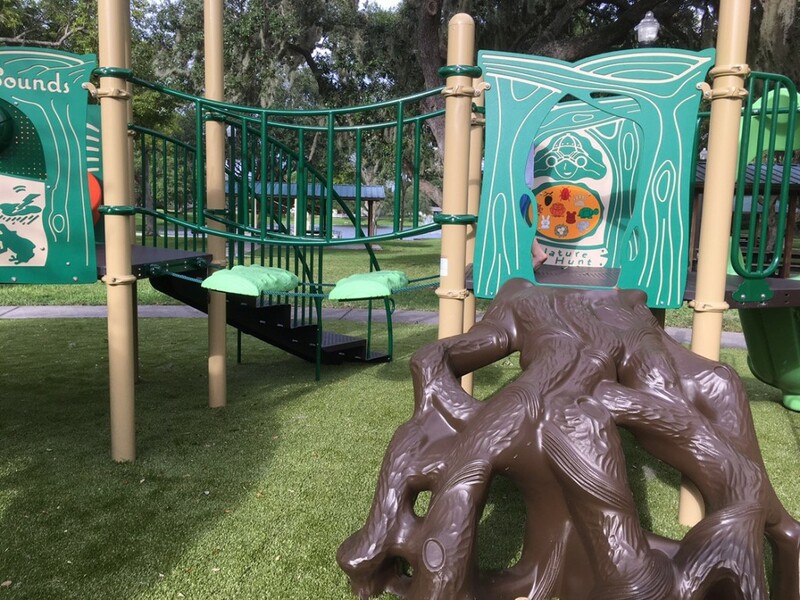 The ribbon cutting for the new playground was supposed to occur last Friday, September 8th, but a little hurricane named Irma (haha, just kidding – it was a monster) cancelled the event. 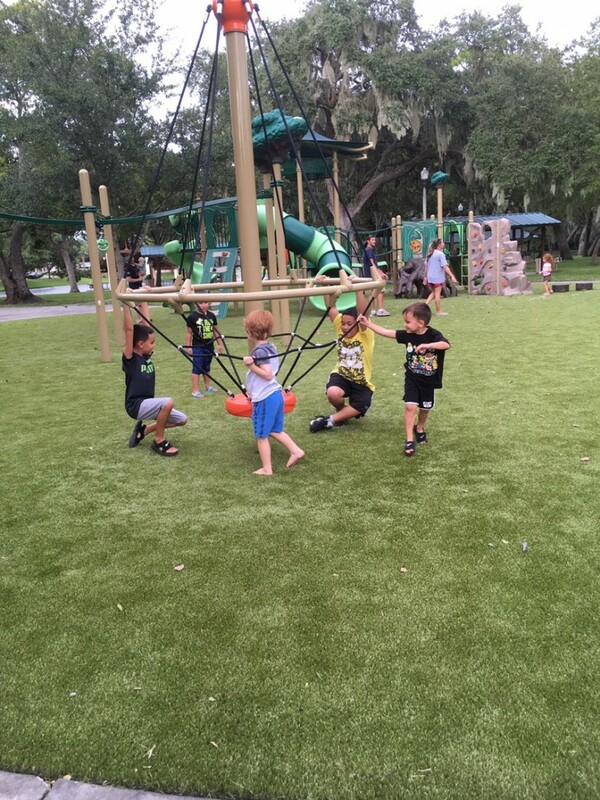 Despite the hurricane on the horizon, the City of Seminole kept the park open up until the day before the storm, so we had to stop by to play beforehand. 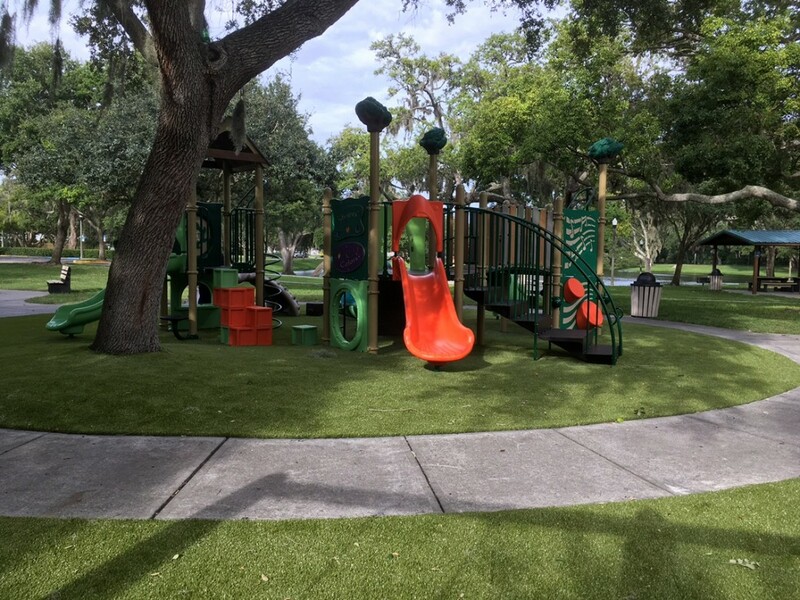 After the storm, public works’ employees worked hard and cleared the debris from the park so the littles could quickly enjoy the playspace when so many of us were displaced or had no power. 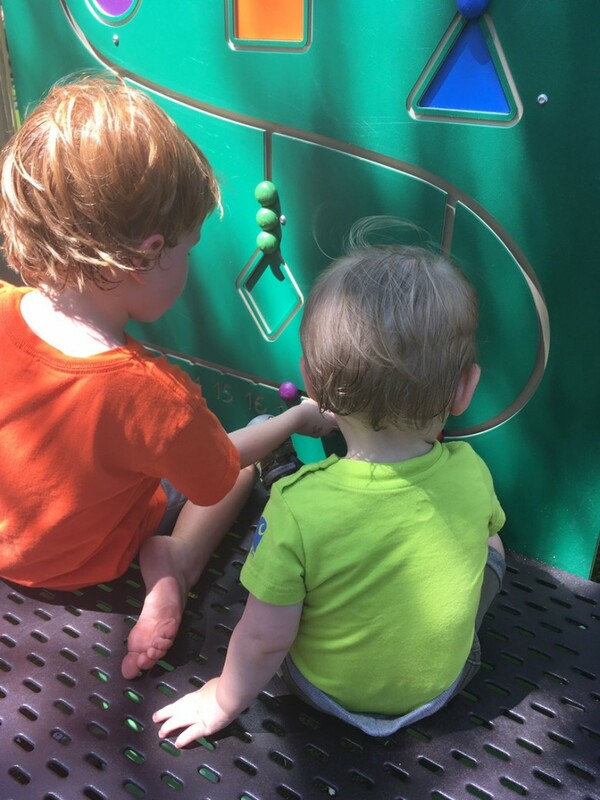 My boys LOVE the playground! 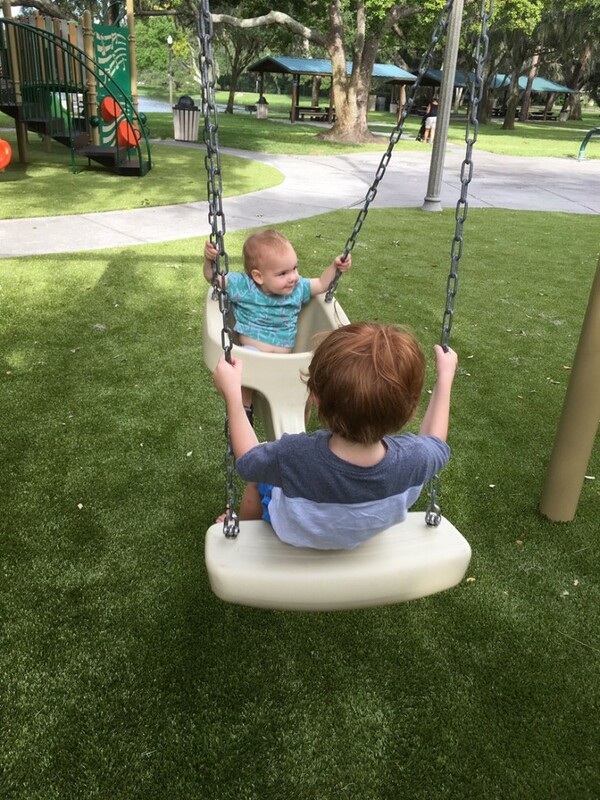 Henry said, “It’s my new favorite; I could play here for six hours!” Their shared favorite is the seesaw swing (for lack of a better name) – Elliot joyfully rode in the toddler side while Henry did the leg-pumping work on the other. Henry liked standing on it to swing and alternatively, sitting. I’m going to try to find a similar one for our swing set; it was that awesome. 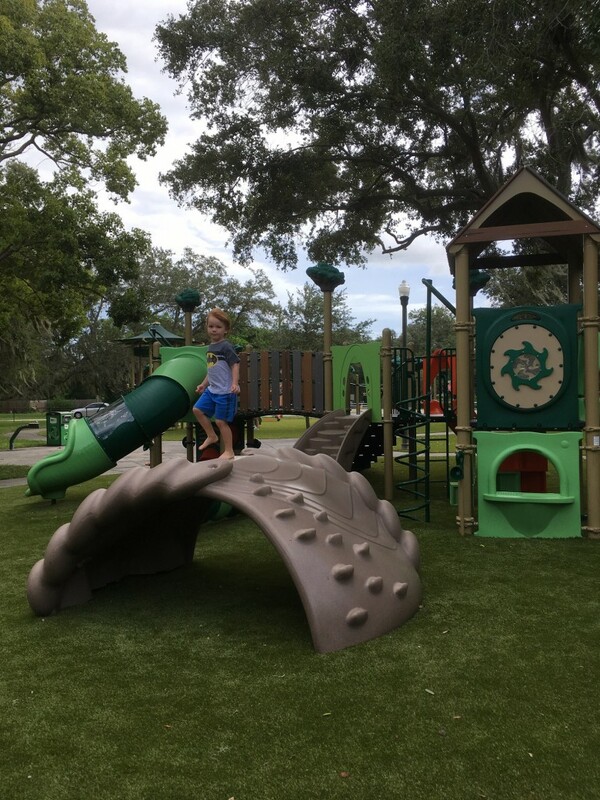 There are two playground structures, aspects of which are similar to Lake Seminole Park, the Sunshine Playground, and Largo Central Park, but this playground makes them feel unique. 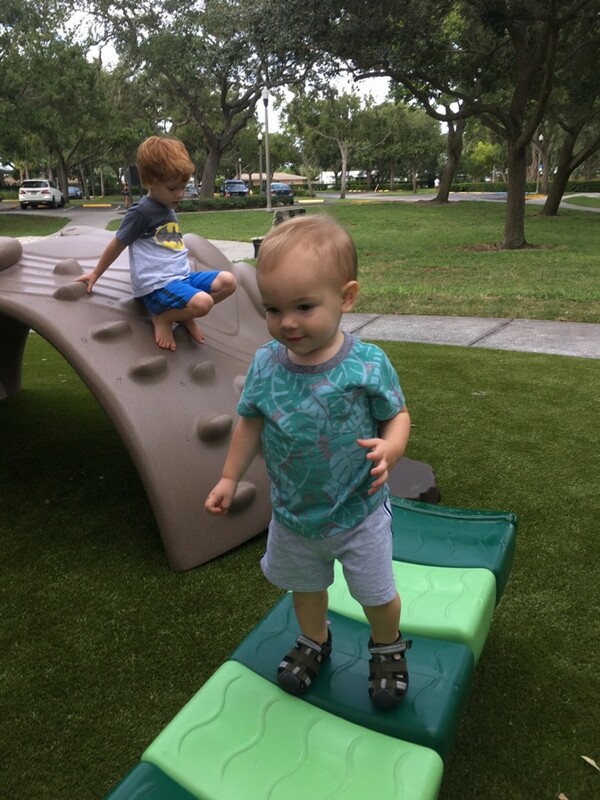 On the smaller structure, Henry created an obstacle course route while Elliot jammed out to music on the drums and bells. On the larger one, Henry searched for the hidden animals, finding 8 out of 10 – we have to do better next time! He loved being the Flash and running around the climbing merry-go-round, and hanging upside down while spinning. 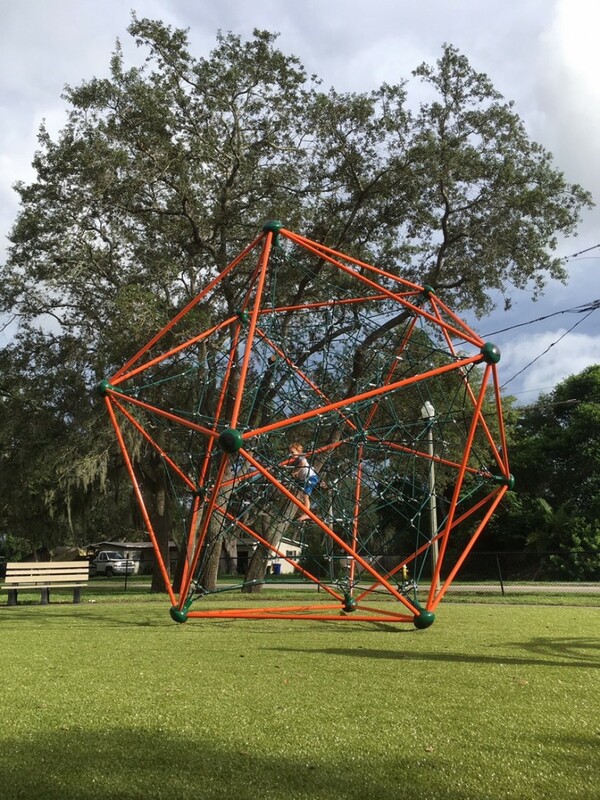 We all practiced our climbing on the spider web-orb structure, feeling the wind blow through our hair. There’s also a small zip line, but Henry was too small (at 4, he will grow into it) to hang on the whole time. Finally, I love the turf instead of the small rubber pieces as the groundcover. 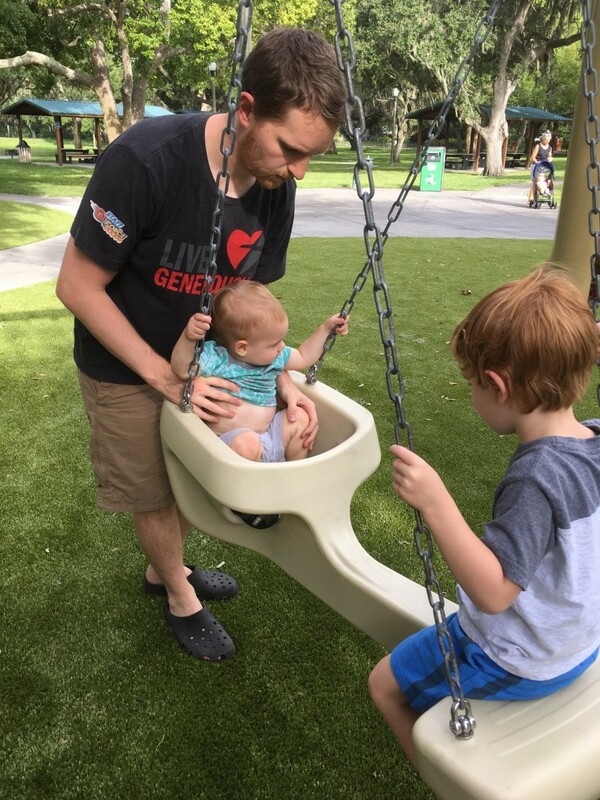 I don’t have to worry about Elliot trying to eat the rubber, or it getting stuck in my kids shoes, and I feel better about it when my kids inevitably remove their shoes to play. My only complaint with the playground is the lack of shade covering the equipment. It’s Florida and it’s HOT at least 6 months of the year. The surrounding trees provide some shade, but a tent overhead would help immensely. The official ribbon cutting is going down this Friday, September 15th at 6:30pm before the kickoff of the City’s Music in the Park series at 7pm. This week’s concert is Voice of Jazz, a Dunedin-based big band featuring classic jazz and swing music plus modern arrangements of popular tunes. I’ve never been to the concerts before, but I’ve heard they are fun for the whole family and free so we are going to try to make at least one this fall.